“Prosciutto Toscano PDO” processing, follows the stages of nature; each processing stage is performed by re-creating the climatic conditions of each period of the year in our maturation cells/rooms, according to the ancient Tuscan pig-farming tradition and thus making our product available to consumers all over the year. The production starts in December – January with the salting process and ends a year later, when our ham is ready in all its taste and flavor. 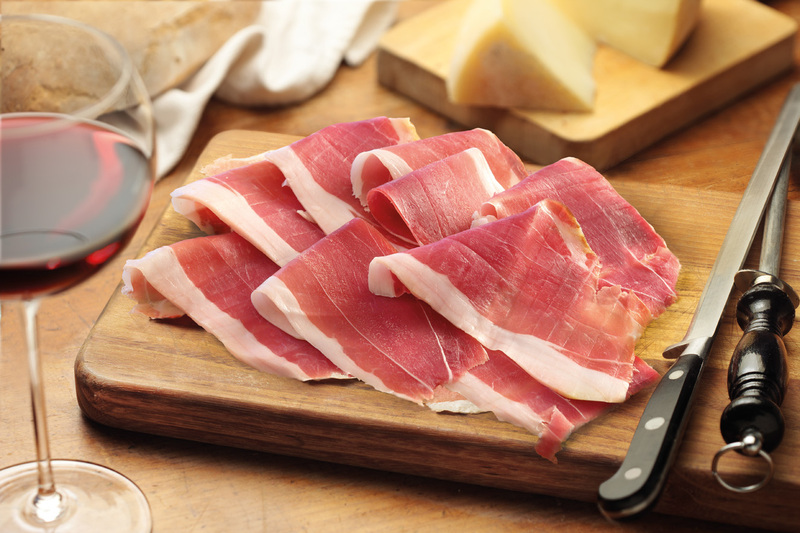 In 1996, the Tuscan Ham obtained the coveted Community recognition as PDO – “Protected Designation of Origin” – thanks to the commitment to, and the respect for, the Tuscan food tradition by all its members, who decided to proudly adhere to the precise articles set forth in the Set of Rules. Pigs are selected only among those born, bred and slaughtered. Thanks to Consorzio del Prosciutto Toscano DOP.